United Healthcare has offered both Secure Horizons Medicare Advantage Plans and Medicare supplements. Although both plans are from the same company they couldn’t be more different. A Secure Horizons Medicare Advantage Plan is another way to receive your Medicare benefits. The plan includes all Medicare Parts A and B benefits and often includes prescription drug coverage. You generally receive your care from a network of providers and pay premiums, deductibles, co-payments and coinsurance for services. Many Medicare Advantage plans have a $0 deductible. Medicare Advantage Plans are popular because you are able to get all your coverage from one plan and many plans include extra benefits such as dental. vision, hearing and Silver Sneakers gym memberships. Secure Horizons Medicare supplements are also offered by United Healthcare. The official name for a Medicare supplement is Medigap. A Medigap policy works differently than a Medicare Advantage Plan. A supplement fill the gaps in original Medicare by paying a portion of your costs. The amount the plan pays depends on the plan. There are 10 standardized plans some more comprehensive than others. 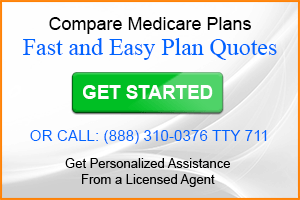 Medicare supplement Plan F is the most popular and the most comprehensive. Standardization makes comparing Medicare supplements easy. Comparing Medicare Advantage Plans is a more involved due to the variations between plans. Advantage plan overview: To be eligible for a Medicare Advantage Plan you must be eligible for Medicare Part A and continue to pay your Medicare Part B premium. You must also live in a plan’s service area. Medicare Advantage Plans are offered County by County and you may have more than one Secure Horizons plan available or in some cases no Secure Horizons plans available. Visit Medicare.gov to locate all plans available in your County. Rates are not based on gender, health condition or age, the exception being those people with End Stage Renal Disease (ESRD) who have other options through Medicare and are not eligible to join a Medicare Advantage Plan. Special Needs Plans are Medicare Advantage Plans for people with certain qualifying conditions or situations. There are chronic illness plans, plans for people living in a nursing home and plans for people enrolled in both Medicare and Medicaid otherwise known as dual-eligible individuals. Pros: If you qualify, these coordinated care plans generally do a better job of managing conditions and helping with chronic illnesses better than an Advantage Plan for the general population. Cons: Plans often offer less flexibility to choose providers and networks are often more limited especially for dual-eligible plans. Medicare Complete Plans are HMO plans and require you to use a network of local hospitals and doctors. Also available in some service areas are MedicareComplete Plus plans that are HMO-POS plans. Point of Service plans allow you the flexibility to receive care out-of-network. Pros: Services received in-network will generally afford you the lowest out-of-pocket costs. Cons: These plans are not normally available in more rural areas. Also, many find the network restrictions to be less than positive when a specialist not in the network may be desired. Out-of-pocket costs for the HMO-POS plans may be unaffordable when using out-of-network providers. MedicareComplete Choice Plans are PPO plans that give you the flexibility to use providers out-of-network for a higher out-of-pocket cost. Many people with an AARP Medicare Complete Plan have this type of Medicare plan. Plans are available with or without Part D coverage included. The Secure Horizons medical only plan as branded as MedicareComplete Choice Essential. Pros: Often $0 premium plans with comprehensive networks and the freedom to go out of network for required services. Cons: Some services obtained out-of-network require more out-of-pocket costs than if you were enrolled in original Medicare. Secure Horizons MedicareDirect Plans are Private Fee-For-service plans (PFFS) and members can receive care from any Medicare approved provider that accepts the plan’s payment terms and conditions. Many of these PFFS plans were discontinued leaving many service areas without a Secure Horizons Medicare plan option. Pros: No network required. You can also purchase a stand-alone Part D drug plan (even from another company). Cons: Finding a provider who will accept the plan. Also providers can choose to accept the plan on a visit-by-visit basis. You will also have to pay a premium for Part D coverage as none is provided in MedicareDirect Plans. Unless you have a Special Enrollment Period or are aging into Medicare you will be limited to enrolling during the Annual Enrollment Period (AEP). The open enrollment period begins October 15th and ends December 7th. You can research plans at the Secure Horizons website or see additional Medicare Advantage and Part D plan options at Medicare.gov. It’s also important to note that plans can change annually or be discontinued all together. It’s important to review your Medicare Advantage options on an annual basis. The good news is the secure Horizons Medicare plans are widely available and you often have more than on plan choice. Carol, You are not alone. Companies that offer Medicare Advantage plans can change the premiums or benefits or choose not to renew a plan form the following year. that is why you are afforded an Annual enrollment Period. Here is an article that will point you in the right direction. 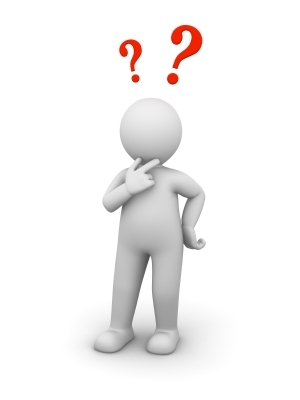 Medicare Advantage Plan Not Renewing For 2012? Where is the provider directory for the AARP Medicare Advantage Plan? My current plan has dropped our doctors and we’re looking for a new plan that has our preferred providers in network. Thanks. 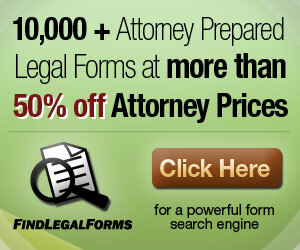 Linda, visit the plan’s website and enter your zip code to start the search. If it seems that you only have the option of using their look up tool scroll to the bottom of the page and click Site Map. that should allow you to find the AARP Provider Directory. What is AARP coverage for durable goods? Kathy, Keep in mind that AARP is not the provider of Medicare benefits. UnitedHealthCare has AARP branded products, Both Medicare supplements and Medicare Advantage plans. Both will include benefits for durable medical equipment. The supplements will pick up your share of Medicare covered expenses and the Advantage plans will generally require that you pay some level of coinsurance. Medicare Advantage plans include varying benefits depending on the plan and where it is offered so the coinsurance amounts may not be uniform. Visit http://www.aarpmedicareplans.com to find plans available in your area and read the plan’s Summary of Benefits to get the specifics. I’m looking for an online resource that provides information about the medicareadvantage plan available in my area. There is only one. I spent way too long on the phone trying to figure out the difference on what is covered and what isn’t (specifically gym membership) in that plan. I want to read what’s there, not talk with a customer service rep on the phone. EllenMc, I don’t blame you I’d rather read as well. Visit medicare.gov…. Here’s an article on navigating medicare.gov to find Advantage plans. Once you find the plan, you will have the option to visit the plan’s website. Enter your zip code on the plan’s website to see the plan available. Find the link for the plan’s Summary of Benefits. The Summary of Benefits will include all plan details. we them for office visits($30.00)Ihave been going to them for a few years they told me that secure horizons had contacted themm in october about this,but I was never infomed till now.WHY??? My wife and I have changed from Humana to Secure Horizons due to the difference in the deductible for the HMO plan. My wife is using Invokana for her diabetes. We realize that we have to again negotiate to get a better price than what is now listed. What is the best way to do this? Thank you. Bill, I believe your best option would be to try to obtain the medication without using your plan. It’s unlikely that you will get a better price through the plan unless you qualify for a low income subsidy. If you think you may, contact the Social Security administration. Here’s an article that may help. My mother is in the Medicare Advantage HMO, and signed up for the passport to be used for 3 months while in FL. A doctor (in UHC’s network here) told her she needs a CT scan for an issue she’s got, and UHC says her PRIMARY care doc in Connecticut has to be the one to apply for approval – and it’ll take TWO weeks! 2 weeks of more pain??? Ridiculous.